These students at Notre Dame High School in Chippewa Falls wore ankle-length dresses and suits to class. And while many of the things they studied probably have changed, some haven’t: From the drawings on the blackboard at the back of the room, it’s clear students in this classroom were learning about the orbit of the Earth and the planets. 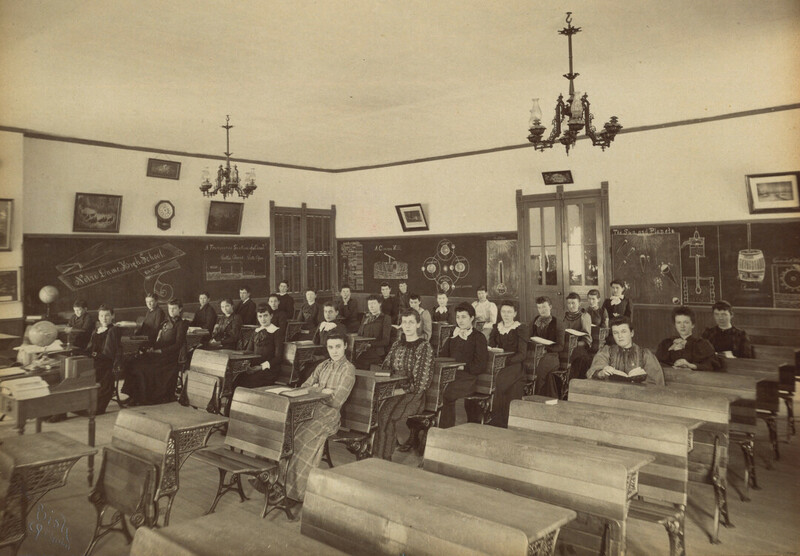 Notre Dame High School graduated its first class in 1889. A new school was built atop Chippewa Falls’ East Hill in 1908. That building is now the Heyde Center for the Arts.